Click here to see water schedule information. . The Toquerville City Council is looking for input from residents to name the new Bypass Road. Click Here for more information. .
Click to get your dog licensed for 2019 HERE . Click here to view the 2017 water quality report. . The Washington County Water Conservancy District has created a flyer showing the history of water development in Toquerville. See the flyer here. . The Washington County Conservancy District is starting to meter water through the TSWS and is requesting that at secondary water users provide email addresses to them. Click here for more information. . 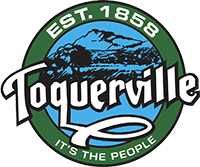 The City recently sent newsletter to all Toquerville residents. Click here to read the newsletter. .
Yearly Water Quality Report click here for full report . The Toquerville secondary water Ag Schedule has been increased. Click here to see updated effective April 17th. Agriculture Schedule .